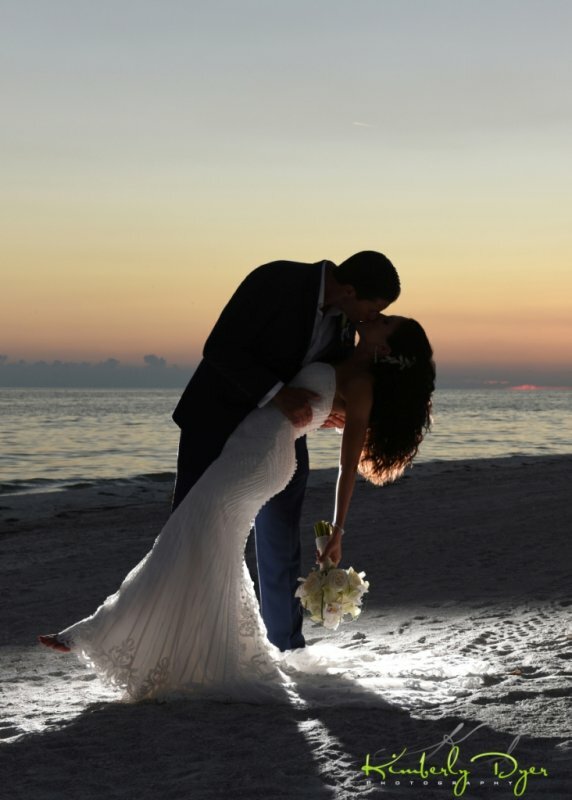 This lovely beach wedding was a dream wedding…ceremony ON the beach and reception in the amazing Harbourside Room at the Longboat Key Club. 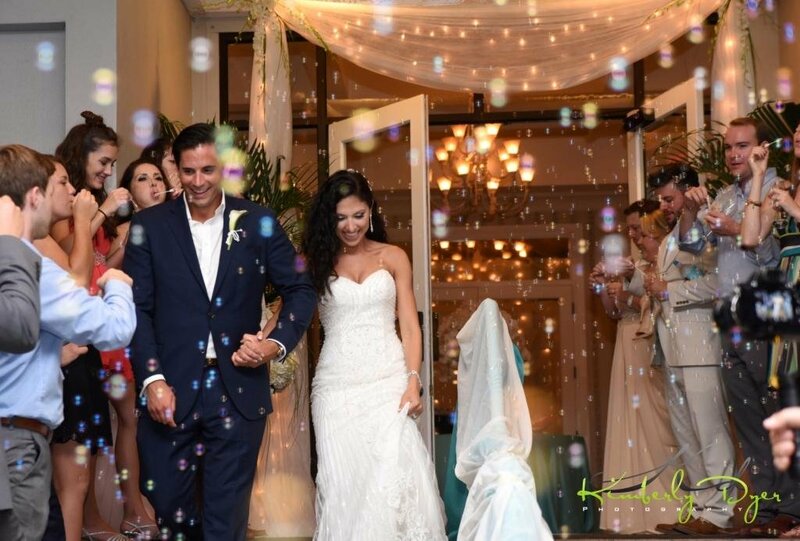 The mother-of-the-groom played a pivotal role in helping plan the wedding and was instrumental in helping the happy couple get the wedding of their dreams! 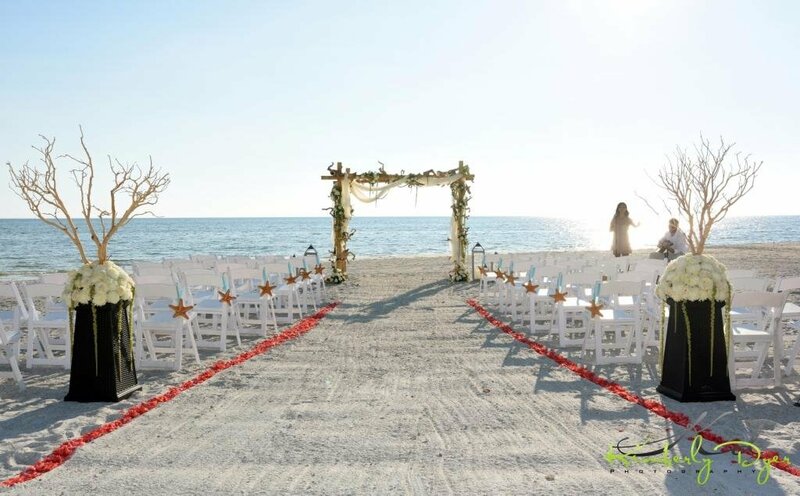 It all started with a unique ceremony arch made of driftwood which we designed on a bamboo frame and added trailing green Amaranthus along with added clusters of open garden roses. 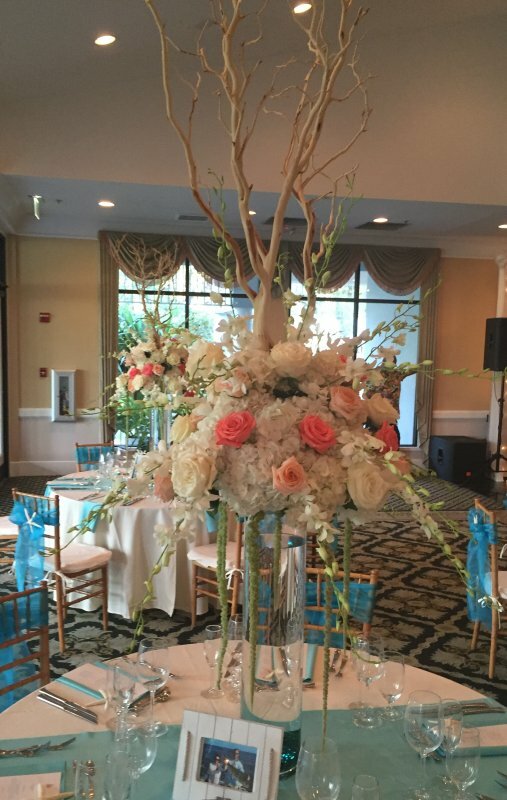 She also wanted to have natural elements throughout the ceremony so we designed 2 manzanita tree arrangements that greeted the guests at the back of the aisle, and we lined the aisle with soft coral rose petals. 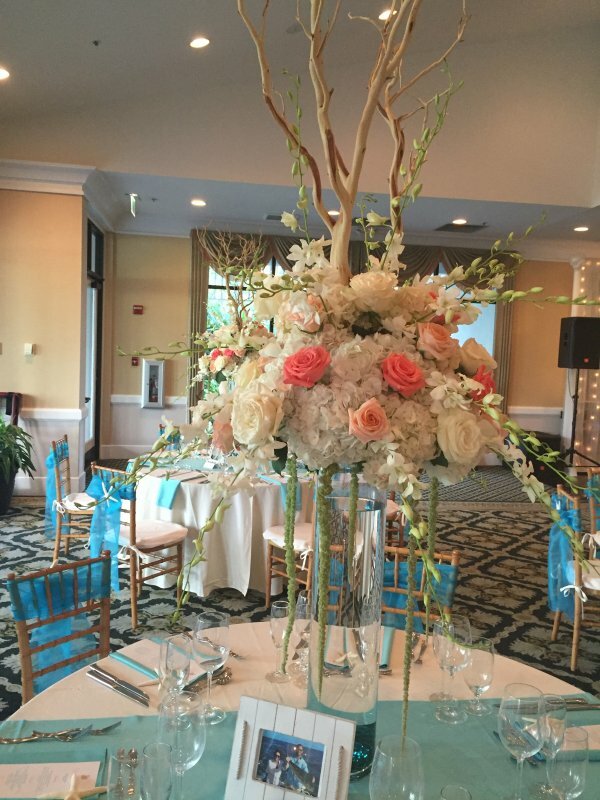 Each chair end had a coral star fish tied on with the teal ribbon. 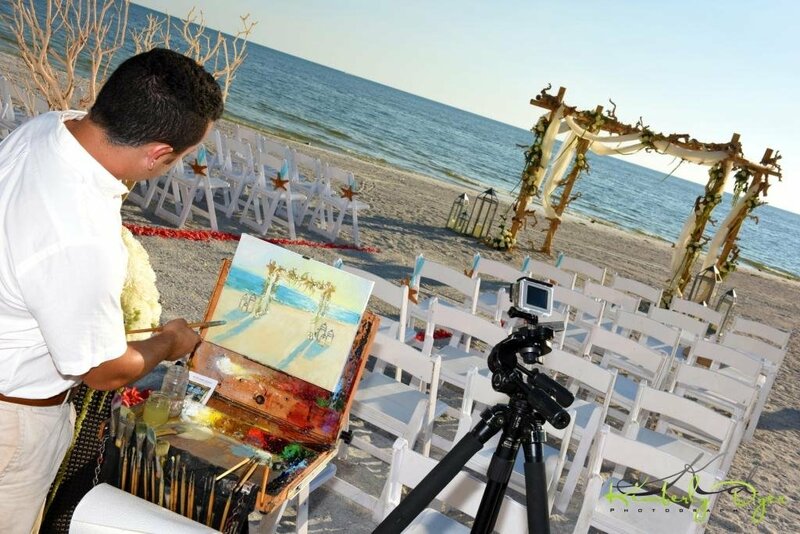 For a truly unique touch, the mother hired a painter to paint the ceremony space as it was progressing—it was amazing! 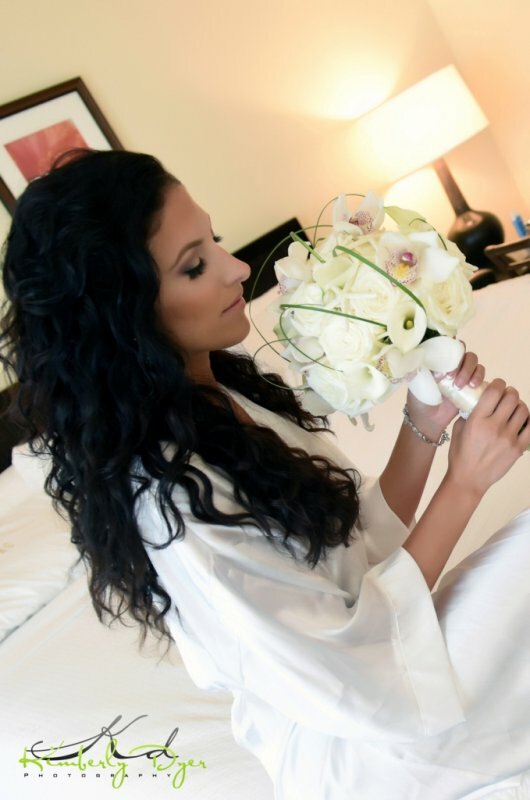 The bridal bouquet was made of garden roses, mini calla lilies, cymbidium orchids with blush pink throats and caged with some bear grass for an interesting look. 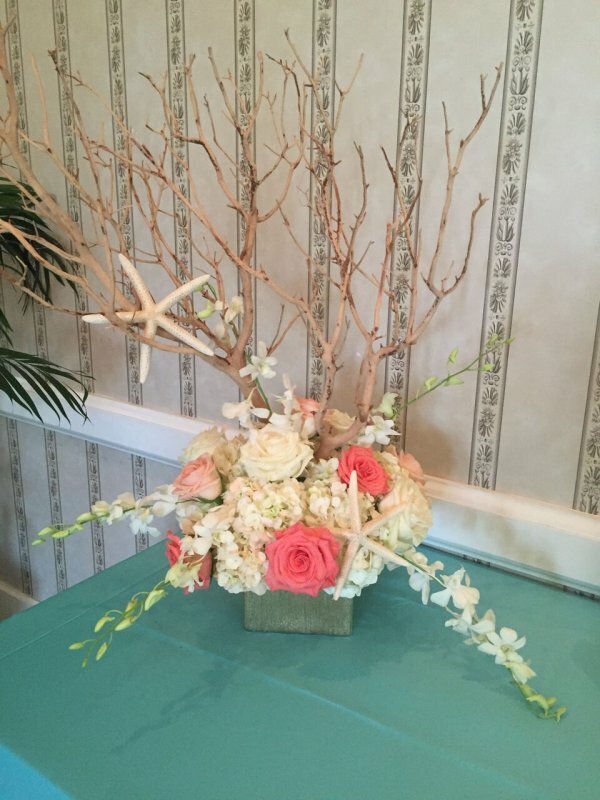 The reception had elevated arrangements with manzanita as well that included the coral and peach roses, white hydrangea, and dendrobium orchids with training green Amaranthus. 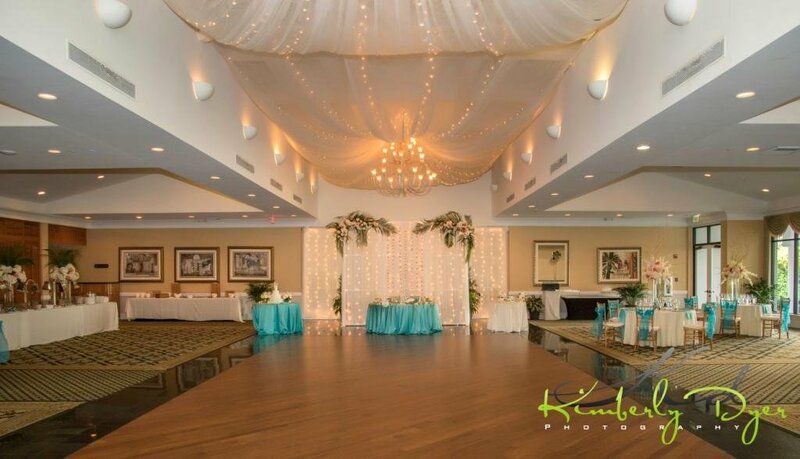 Flowers were used at the entry and the railings were covered with the teal and cream fabric. Every door entrance what swagged with fabric and had flowers in the upper corners. So breathtakingly beautiful! 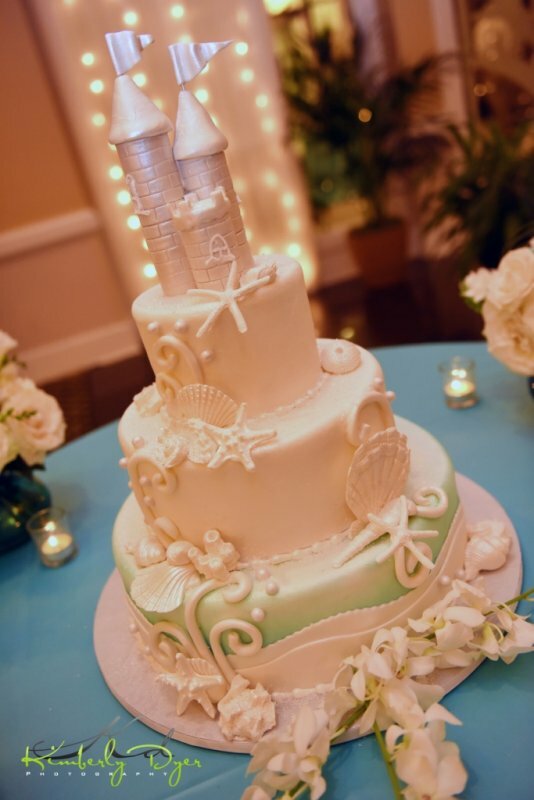 The fun cake was designed by Cakes by Ron which was a sandcastle cake, and the groom’s cake was a fishing tackle box. Flowers were used at the base of both cakes for an added touch. 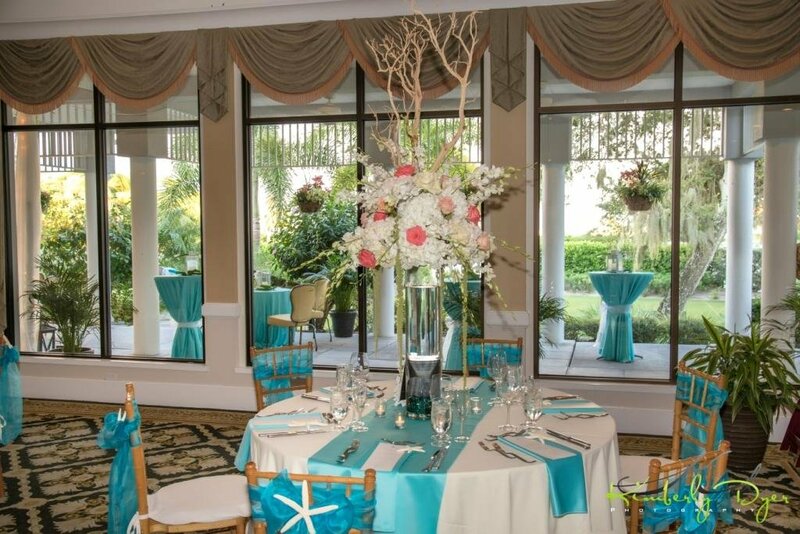 For the food buffet tables, we did palm fronds in tall cylinders. 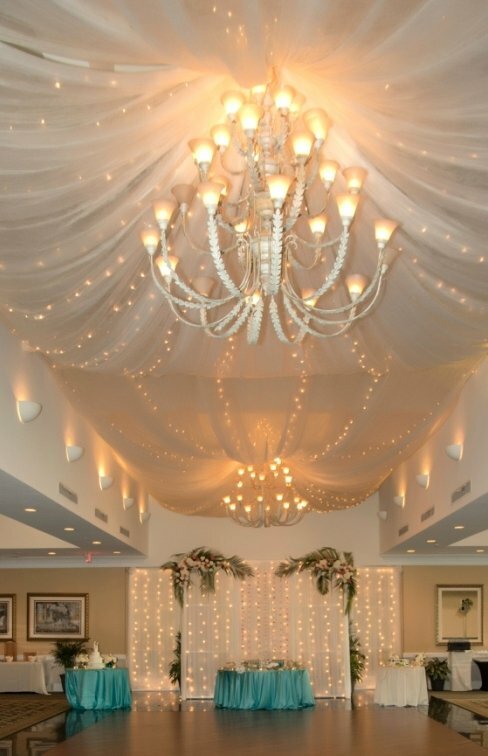 It all looked gorgeous! 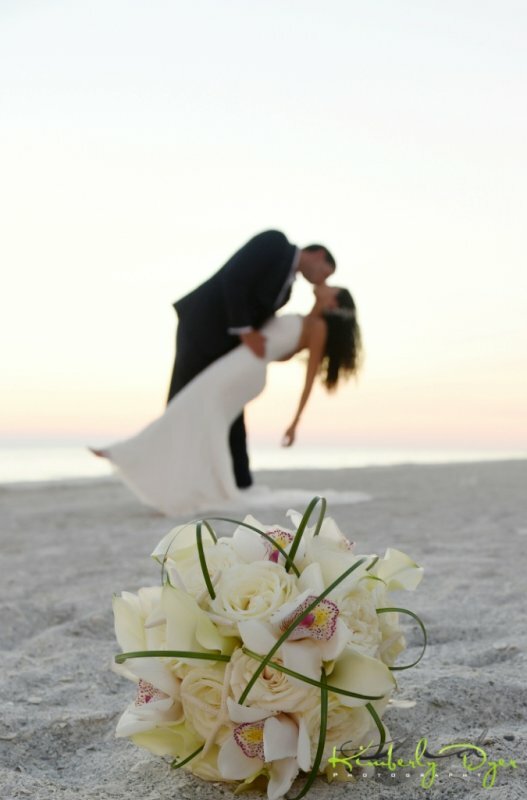 If you are looking for a florist in the Sarasota-Bradenton area to help you plan your dream wedding , contact us today. We would be thrilled to work with you.